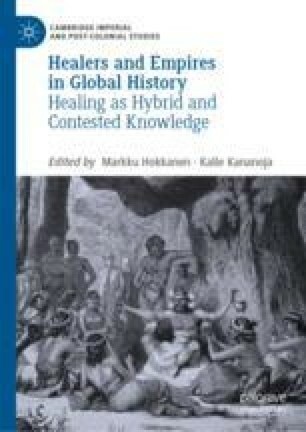 This chapter examines changing healing methods of Sámi communities focusing on the area that is today called Swedish and Finnish Lapland. Traditional Sámi healing had been connected to their Arctic environment: the flow of blood from a wound, for example, would be stopped using a reindeer lung. On the other hand, some Sámi used imported edible luxury products, such as pepper, as their medicaments. This chapter reaches from the seventeenth century to the beginning of the twentieth century. Moving in time makes it possible to find confrontations—as well as coexistence—between Arctic healing and new medicinal products of the globalising world. The medical culture of Lapland had a relatively strong cross-cultural dimension, and over the centuries the forms of healing became very hybrid.